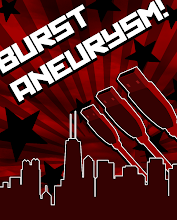 BURSTANEURYSM.COM: There's a blog about me talking in my sleep, fo reals. There's a blog about me talking in my sleep, fo reals. Yea, so apparently, I talk in my sleep... Courtney is recording it on a blog.